4-1-1a-c: Clarified the criteria for an alternative uniform. Rationale: The alternate 2-piece uniform has been added to increase participation for boys and girls. The uniform modification received favorable support on the NFHS Wrestling questionnaire. In addition, a member state association experimented with a 2-piece uniform this past wrestling season and received favorable results and comments from their member schools, wrestlers, coaches and referees. 4-5-3: Modified what is appropriate and allowable in the designated weigh-in area. Rationale: If an athlete misses weight on the first attempt on the scale, he/she shall not be allowed to do anything (activities which promote dehydration, remove/adjust/modify clothing, cut hair, etc.) which might result in weight loss before stepping back on the scale(s). The same should be the case for an athlete who is trying to qualify for a higher weight class and is too light. He/she shall not be allowed to drink fluids before getting back on the scale. 5-11-1: Clarified the definition of a fall. Rationale: This change will allow for fewer match interruptions. Provided the clock is running, a fall shall be able to be earned. Referees shall permit wrestling to continue as long as the offensive wrestler’s supporting parts remain inbounds, and as long as no body part of the defensive wrestler goes off the mat. 5-11-5: Modified the location of where a fall or near fall can be awarded. Rationale: Offensive wrestling shall be rewarded. If wrestling is continuing during a match, then falls and nearfalls should be awarded/earned with no deference to the out-of-bounds line. 5-15-2b, c: Clarified the scoring of points in relation to the location on the mat. Rationale: Offensive wrestling shall be rewarded. While the clock is running, takedown, escape, reversal, near-fall and falls will be allowed/earned as long as the supporting points of either wrestler are inbounds. 5-19-10: Modified the position of the referee at the beginning of the start of a match. Rationale: When starting the wrestlers in the down position, the referee shall be in front of, stationary and at an angle to the contestants. The referee shall also establish eye contact with the scorer’s table. 6-6-4a1: Clarified the process of correcting an error by the timekeeper during a dual meet. 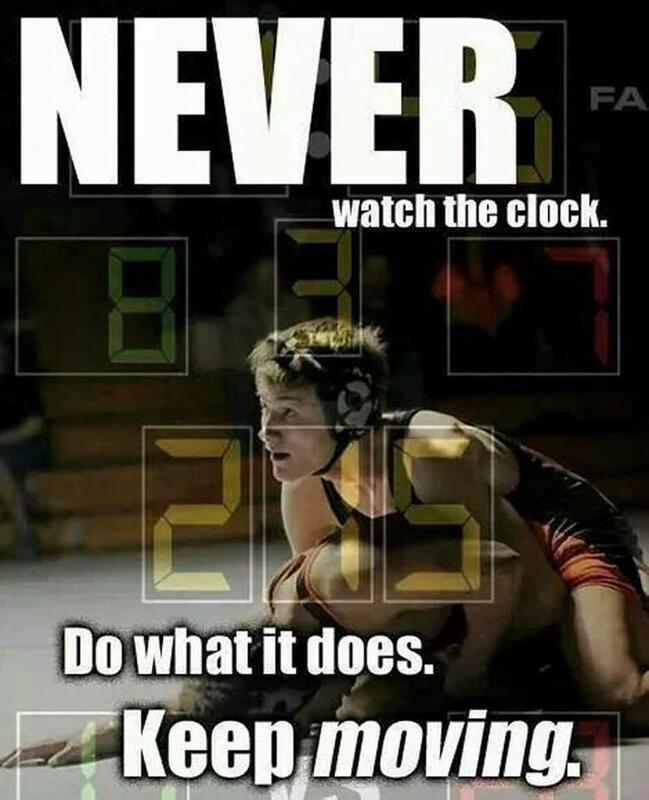 Rationale: Errors by the timekeeper, official scorer or referee must be corrected prior to the offended contestant leaving the mat area and before the start of the next match on that mat, if additional wrestling is necessary. If additional wrestling is not necessary, the error may be corrected as long as the offended contestant or coach remains in the mat area after the match has concluded and before the start of the next match on that mat. 6-6-5a1: Clarified the process of correcting an error by the timekeeper during a tournament. 7-1-2: Modified that two moves (straight-back suplay and straight-back salto) are now illegal. Rationale: The straight-back salto and straight back suplay are dangerous regardless of which body part (head, neck, or shoulder(s)) hits the mat first. 7-1-5w: Clarified that a specific maneuver is not allowed. Rationale: The front flip or hurdle from the neutral position is attempted when there is short time left in a match and a wrestler needs to secure a takedown of his opponent, who has a strong defensive neutral position, in order to either tie or take a lead in a match. This maneuver is a last-ditch effort attempt to score; however, the attempt to flip or hurdle one's opponent from a neutral position is not only an elevated risk to the wrestler attempting the maneuver, it also places the opponent in a disadvantage position as he/she is not only left to counter the scoring attempt but is also placed in a position of responsibility for not reacting in a manner that may cause a slam or unsafe return to the mat of the wrestler who actually initiated the maneuver. 7-6-4d: Modified another determinant for stalling. Rationale: This will provide rule support for a casebook interpretation. Hamlin added this year... which region?